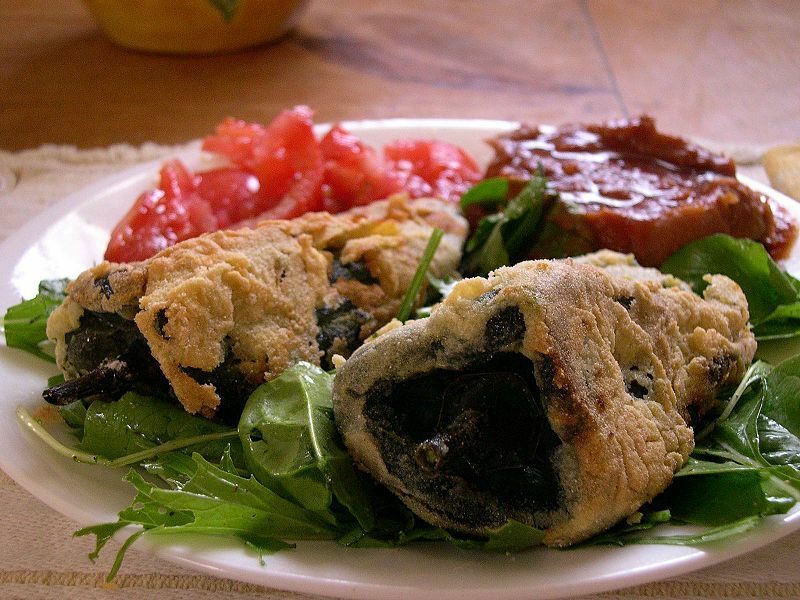 The chile relleno, literally "stuffed chile", is a dish of Mexican cuisine that originated in the city of Puebla. It consists of a roasted fresh poblano pepper (the poblano pepper is named after the city of Puebla), and some times substituted with non-traditional Anaheim, or pasilla or even jalapeño chili pepper. 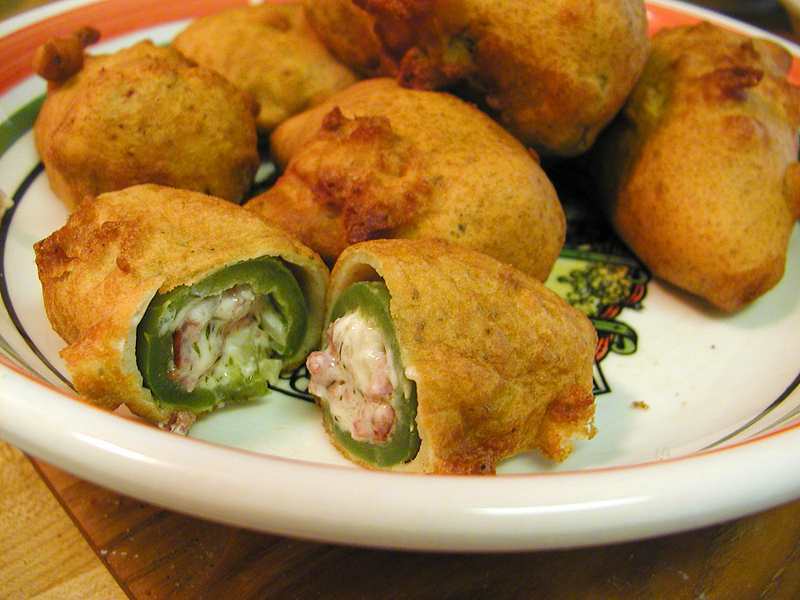 The pepper is stuffed with a melting cheese, such as queso Chihuahua or queso Oaxaca (traditionally), or picadillo meat made of diced pork, raisins, and nuts, seasoned with canella; covered in an egg batter or simply corn masa flour, and fried. It is often served in a tomato sauce. The sauce varies widely. There are versions in Mexico using rehydrated dry chiles such as anchos or pasillas. Chili Rellenos can use various types of batters, and can be cooked without batters. A Chili Relleno consists of melted cheese inside a pepper. however, various egg based batters can be used in frying. Flour and cornmeal are common additions. During Lent, Catholics avoid pork, beef and poultry on Fridays, Ash Wednesday, Holy Thursday and Good Friday, so in Mexico these chilis may be stuffed with cheese, tuna, or separated maize grains, other seeds or sliced vegetables, or a mix of these. Left: A traditional chile relleno stuffed with jack cheese and breaded with corn masa flour.